CINCINNATI – Rachel Smith was pregnant and terrified. She started leaking amniotic fluid in January after a garbage truck hit the car she was driving. Smith was in the hospital for two weeks while doctors tried to prevent her from going into labor. Her baby girl was coming seven weeks too early, and she didn’t have a safe place for the newborn to sleep once they got home. A nonprofit organization called Healthy Homes Block by Block came to Smith’s rescue, providing a new, portable crib for baby Dé’ja when she was strong enough to leave the hospital. “We wouldn’t have had a safe sleep space for her,” Smith said. "We wasn't prepared at that point, and she just happened to come." Now little Dé’ja is happy and thriving. But Healthy Homes Block by Block is worried other babies throughout Cincinnati’s East and Lower Price Hill neighborhoods won’t be as fortunate. That’s because the U.S. tariffs on goods from China have increased the cost of the portable cribs that Healthy Homes Block by Block gives away, and the nonprofit doesn’t have any more to distribute. 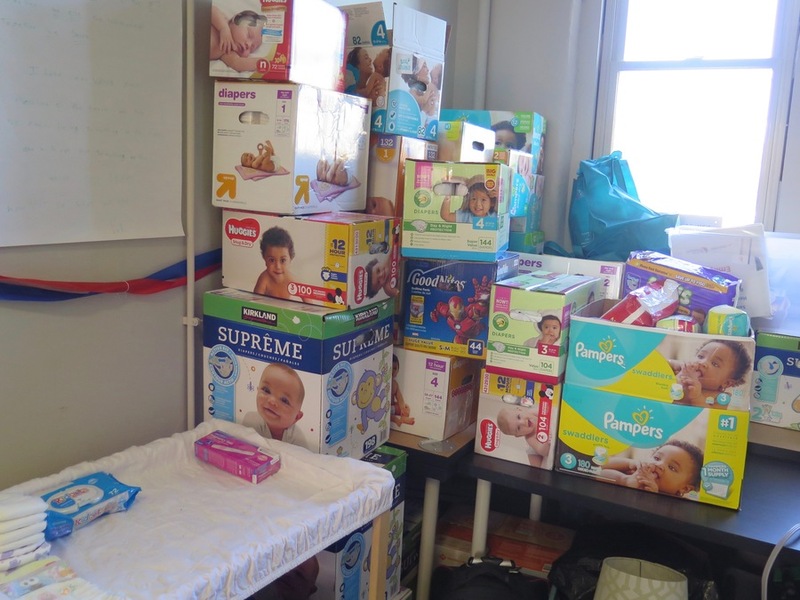 The organization got an email Nov. 2 stating that the cost increase had resulted in suspending the program that provides the cribs to the nonprofit, which in turn delivers them to pregnant moms in need, said Chellie McLellan, the CEO of Healthy Homes Block by Block. It’s one of the early examples of how the tariffs impact consumers, said Joseph Dehner, a lawyer and international trade expert for law firm Frost Brown Todd. Price increases for other products, including those manufactured in the United States using imported steel and aluminum, will take longer to reach consumers, Dehner said. 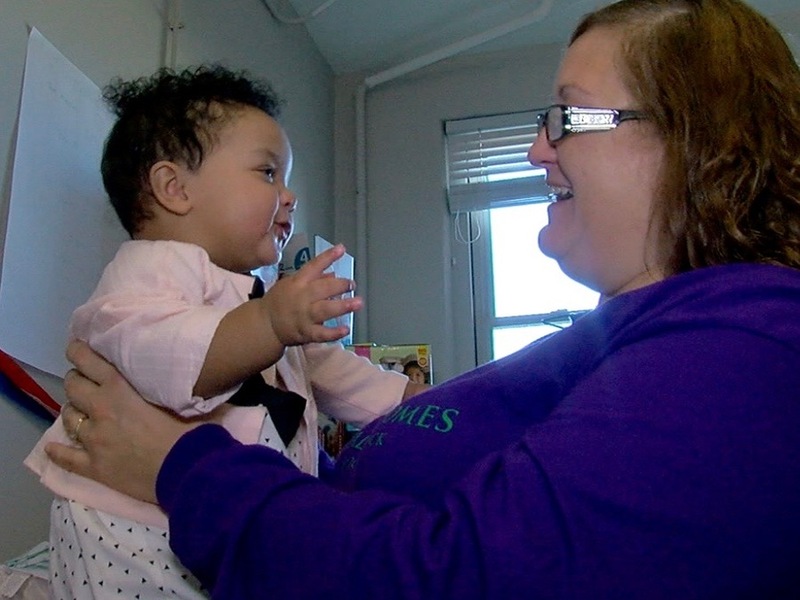 Pittsburgh-based Cribs for Kids is the nonprofit that provides the cribs to Healthy Homes through a contract with the Ohio Department of Health. State officials suspended the program while they get paperwork approved related to the higher prices, said Judith Bannon, executive director and founder of Cribs for Kids. "It's really a shame because babies could die because they don't have a safe place to sleep," Bannon said. "It's a tax on the American public because China isn't paying these tariffs." Cribs for Kids doesn't have enough money to absorb the higher prices, Bannon said. Other baby items, such as strollers, car seats and high chairs, are exempt from the tariffs, and Cribs for Kids tried unsuccessfully to get an exemption for the portable cribs. The organization is still trying, she said, and hopes to get the tariff on the cribs lifted at some point. But Healthy Homes Block by Block, and the moms that it serves, are feeling the impact now. McLellan said her organization is scrambling to find another source to provide the portable cribs. Healthy Homes Block by Block typically delivers them after moms are 32 weeks pregnant. Several women in the neighborhoods the organization serves are nearing that point in their pregnancies, said Smith, who works as a block captain for Healthy Homes. Healthy Homes Block by Block supplies families with other essentials, too, such as diapers. Sleep-related deaths are the leading cause of death for babies between 1 month and 1 year old, according to Cradle Cincinnati , which works to educate caregivers that babies sleep safest alone, on their backs and in a crib. Healthy Homes Block by Block works to reinforce that message with its deliveries of cribs, as well as smoke detectors and other items that families need to keep their children safe. Seeing the portable crib program stall makes McLellan worry that even tougher times are ahead for families that already are struggling financially. Healthy Homes Block by Block will work to raise money to buy the portable cribs itself, she said, but that won’t be easy for a small organization with an annual budget of $130,000. Even when the Ohio paperwork goes through, Bannon said that the higher prices will mean fewer babies get cribs unless the Ohio Department of Health can somehow increase its budget for the program. "If it's a 25 percent tariff, that means that 25 percent less babies will be in a safe sleeping environment," Bannon said. "It's just been a nightmare for us. But what I'm worried about are the babies that aren't going to be able down the road to have a safe place to sleep because of the lack of funding." From left, Dé’ja, Rachel Smith and Chellie McLellan at Healthy Homes Block by Block in Lower Price Hill. More information about Healthy Homes Block by Block and how you can help the organization is available online .